Delicious! 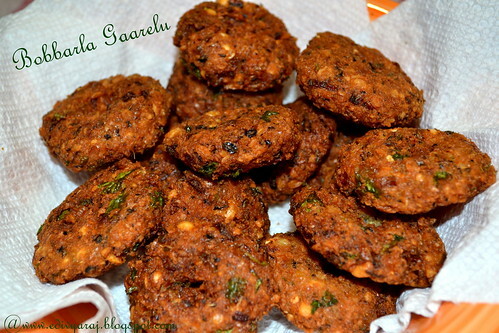 Love these raunchy Vadai! Oh I love these .. 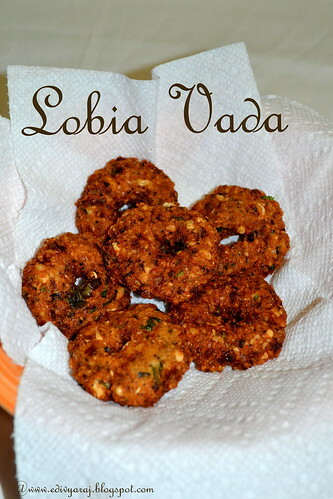 I used to eat them when I was a kid .. brought back memories..
Lobia vada looks perfect for tea time. looks delicious. Perfect with a cup of tea. Wow! Very tempting! Never tried it this way. Thanks. 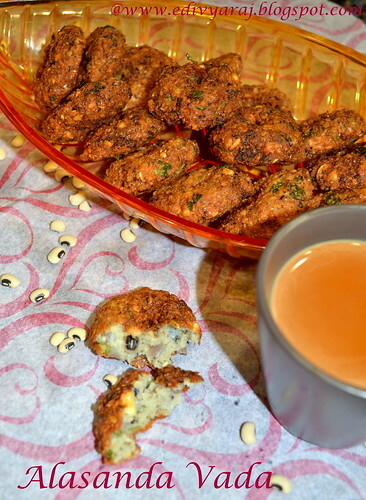 Wonderful and interesting vada recipe, perfect with a cup of tea. 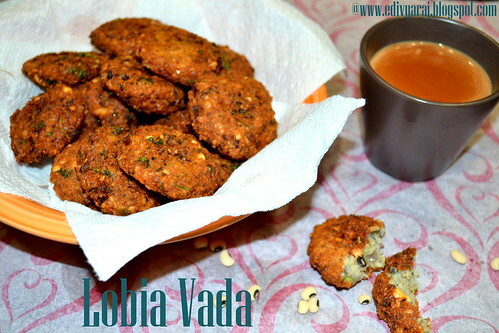 Lobia vada looks delicious and crunchy. Wow...vadai looks fabulous love it to the core!! 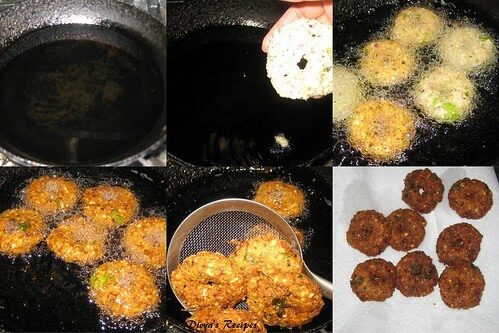 love those vadas...cute looking they are!! 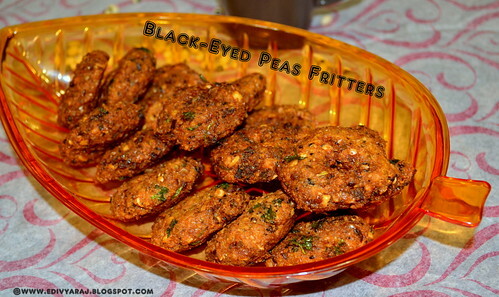 wow,never knew we could make vada with black eyed peas. Looks really good. Pack me some, i want to have rite now. 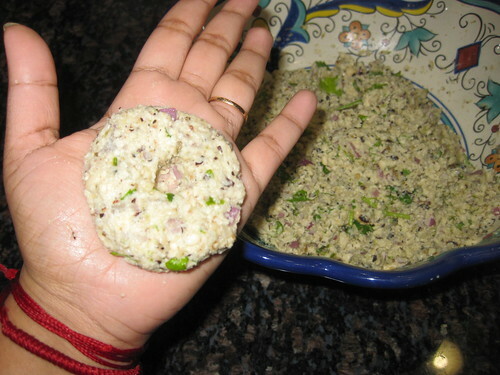 Lovely vadas!!!! 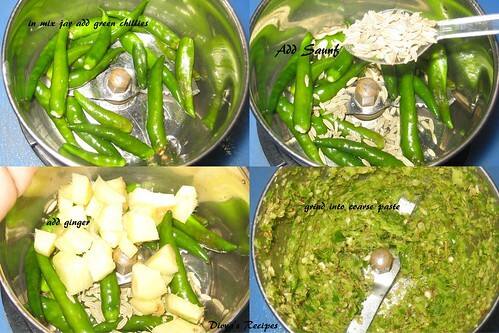 they look so crispy and tempting....plz pass on some!! Looks crispy and yummy. Well explained with lots of pictures. 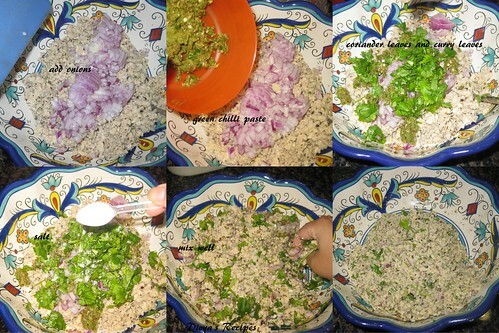 Very tempting.I am going to try this soon. So crispy and colourfull vadais. 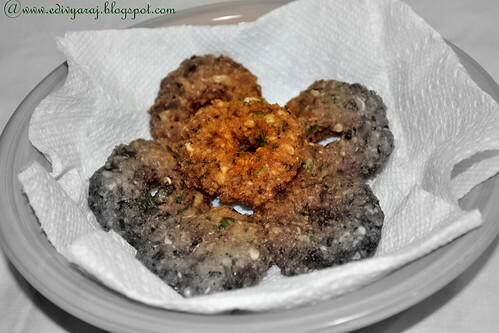 I love these types of fritters!